Your domain name is your calling card. It’s the sign on your virtual door that says to people looking for your services, “Here we are! Welcome! Come in!” It also serves as a territory marker of sorts; when consumers search for you, they’re going to end up at your site and not your competition’s. Plant your flag in the right place with domain name registration and management through JJ Web Services. What’s a domain name? It’s what goes into the search bar of your browser, essentially. For example, www.jjwebservices.com is our domain name here. We also own a handful of other domain names that redirect to our website that are similar in nature to our name so that when folks come looking for us, they won’t have any trouble. Helping you helps us. In the same way, selecting a great domain name for your company helps you help your target audience which in turn helps you…see where this is going? Selecting a domain name that’s far reaching, strategic, and SEO friendly will assist you greatly as you market your brand and website. By choosing domain name registration and management through JJ Web Services, you’re setting yourself up for success. We’ve been hosting websites and managing domains since 1996 giving us a wealth of insight and experience. JJ Web Services is also registered a reseller of Wild West, which is the company that owns GoDaddy. This means you’re getting a great, tried and true service. 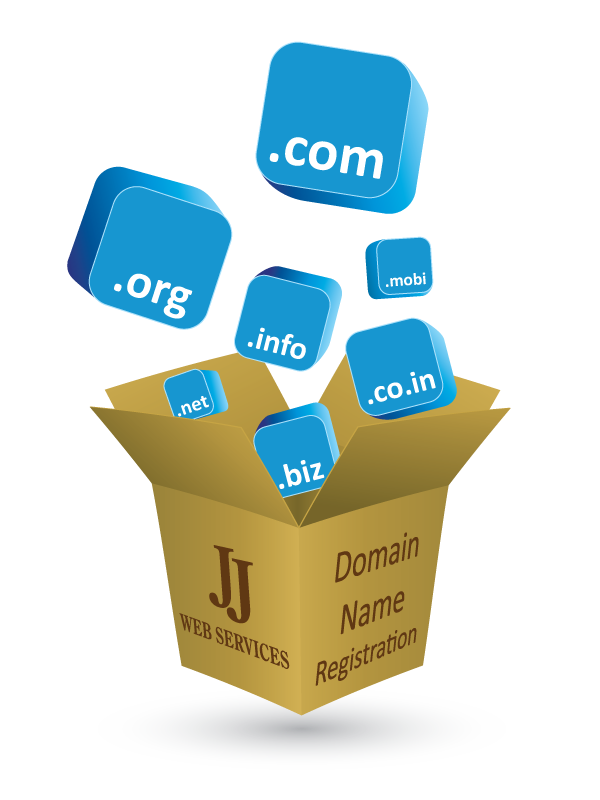 Choose JJ Web Services for domain registration and management. We’ll help you select a great domain name and manage your hosting. You’ll be glad you handed over the reins on this aspect of your website maintenance and management; after all, 98% of our clients choose this route and never look back. Questions? Contact the pros at JJ Web Services: call (715) 554-3460 or email Support@JJWebServices.com.